Situated in a privileged location in Sliema, the Park Hotel Sliema is just a short distance away from Valetta, which is a world heritage city. The 152 bedrooms in the hotel are available in different styles to match the needs of solo travelers, couples, families and friends. The hotel features a roof top swimming pool, where you can not only take a relaxing swim, while enjoying magnificent views of the city below. Guests can take advantage of the free Wi-Fi available in all the areas of the hotel. 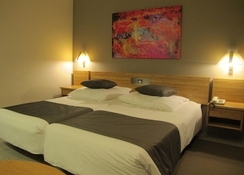 The hotel also has a Jacuzzi, an indoor heated pool and currency exchange service. 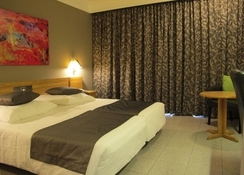 Located in L. Graham, Tas-Sliema, Malta, the hotel is just 1.4km from the Balluta Bay. With an easy access through public transport, the Park Hotel Sliema offers a quiet setting for its guests to relax and soak up the sun. In Sliema, you have a selection of amazing bars, restaurants and shopping options. 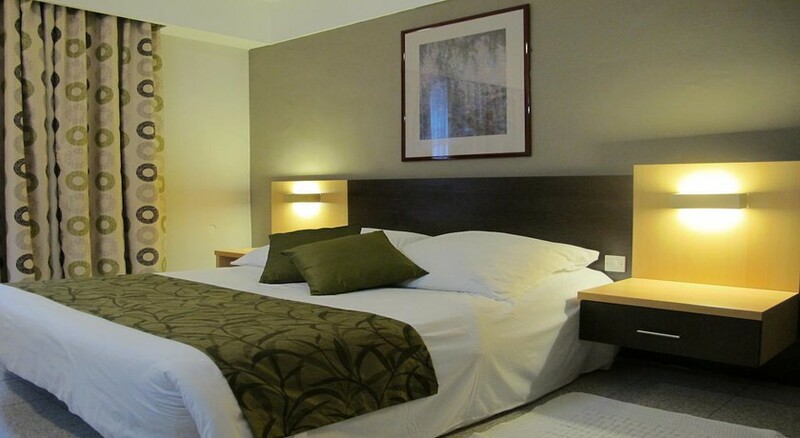 The 152 guestrooms in the hotel are categorised Twin Side Sea View Room, One Bedroom Apartment, Single Standard Room, Twin Standard Inland Room and Studio Apartment. Some of the facilities common in the rooms include air conditioner, stove, desk, heater, bathroom, hairdryer, complementary toiletries, television, telephone, fridge, microwave, safe & wake up service/alarm clock, etc. The one-bedroom apartment comprises additional facilities for self-catering that include kitchenette, toaster, microwave and dining area. The hotel’s restaurant scene provides you with delicious continental and international cuisine, whereas the lounge bar and pool bar gives a chance to sit and relax after a day in the sun or sightseeing. 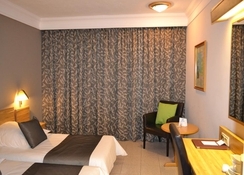 Continental breakfast, lunch and dinner is available in the hotel's restaurant. The studio and one bed room apartments feature their own kitchens. In addition, there are many local shops, bars and restaurants available in the vicinity offering local and special cuisines. The hotel offers in-room service. 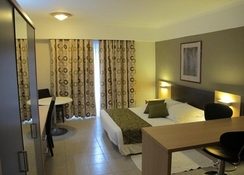 The Park Hotel Sliema comprises rooftop outdoor swimming pools, an indoor heated pool and a Jacuzzi. You have sun beds and parasols available free of charge. There is a fully equipped centre, where expert trainers guide you at every step. Other than this, there is a massage parlour, where you can avail pleasurable massages from head to toe. Guests can also find a number of water sports such as scuba diving, deep sea diving, snorkelling, water skiing, cycling, etc. on the beach. You can find the equipment required for these sports in the nearby shops. Yes it was quite adequate would've like to have a better view just had concrete wall outside our windows . The hotel also could have better signage or directions as a little tucked out of the way but all in all pretty good ..
Hotel was good for location, the cleaning in not good enough , but everything else was perfect, staff was very helpful too.